← Got the Munchies? Ask Jack. You can vape everything from coffee to CBD oil. Now you can inhale your morning vitamins. VitaStik is one of several new companies promoting the health benefits of vitamin and essential oil enhanced vapor. VitaStick’s Energizer formula, for instance, is comprised of ginseng, green coffee extract, grapefruit, lemon, and orange essential oils. According to the VitaStik website, one stick contains 20 servings of Vitamin B12, and roughly one recommended daily dose of Vitamins A, C, D, E, coenzyme Q10, and collagen. 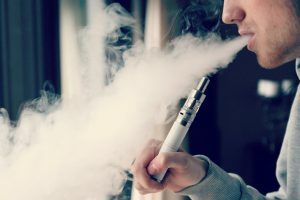 According to the VitaStik website, essential oil vaping is helping thousands of people every day who suffer from Anxiety, Stress, Panic Attacks, Headaches, PTSD, and any other related symptoms.